Qube Cinema will show visitors to IBC how its Quad 3G interface for digital cinema projectors facilitates digital intermediate and D-cinema mastering workflows. The Qube XP-I server can stream uncompressed 4K data, as well as compressed DCP images, directly to a projector through a 4K Xi Integrated Media Block (IMB) featuring the Quad 3G interface. Post facilities can now use the same server-projector setup for both HD-4K uncompressed color grading and 2K-4K digital cinema playback for comprehensive review and quality control. The postproduction version of the Qube Xi IMB features a Quad 3G interface with four 3G-SDI cables that can link to color grading or finishing systems. These four BNC connectors simplify 4K setups for post houses, allowing users to easily switch between uncompressed 4K and 4K DCP playback. The Qube XP-I server has a data throughput of up to 1,000 Mbps, enabling 4K 3D dual-projector playback from a single server running a single DCP. The Xi IMB supports HFR playback up to 500 Mbps. Multiple-projector setups for stereo 3D playback from a single XP-I server are possible due to internal synchronization of the Xi IMBs. Being able to stream uncompressed 4K from the server straight into a projector is a serious step forward for postproduction facilities. PP Facilities can now review a raw master image, correct data directly and encode into a JPEG 2000 without swapping input boards. Visitors to IBC can visit Qube Cinema at stand 7.F45 in Hall 7. 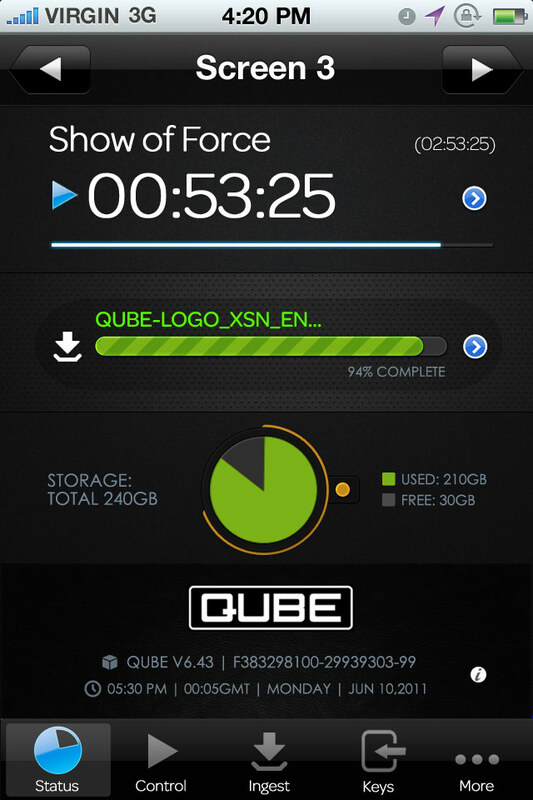 For more information about the uncompressed 4K capabilities of the Qube XP-I, Xi IMB and Quad 3G interface, contact D2. D2 is authorized Qube Cinema dealer in Benelux, France, Italy & Spain.